Park in (what I call) the holiday parking garage (at the corner of Peachtree & Pharr, but the entrance is on Pharr) which is located across the street (across Pharr) from the front entrance to the Elle (pictured here). The entrance to this garage is pictured here. The holiday parking garage has plenty of space - I've never seen it full - but in case this happens for the first time on July 4th I include a map of additional parking options in the area. After parking exit the holiday parking garage on foot and walk across Pharr (toward the Elle). Turn left after crossing the street and walk a block down the sidewalk. 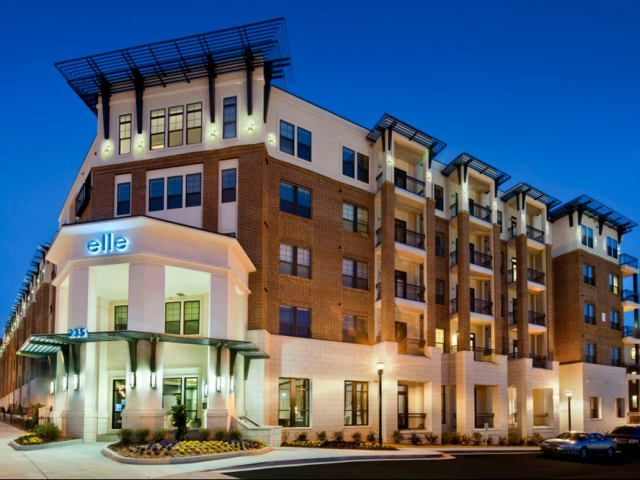 When you encounter your first side street turn right, walk a block and the entrance to the Elle’s parking garage will be on your right. A map with the route I just described colored in red is available here. After entering the Elle's parking garage walk straight ahead to the glass door and to its right you’ll see a dial-pad on the wall. Key in 1-3-4 and then hit ‘CALL’. This will ring my phone – I’ll buzz you in the door and there will be an elevator immediately on your right. Take it to the top floor (floor 7). After exiting the elevator there will be two doors – take the one on the left and you’ll find yourself on the top of the parking deck. The facility housing the club room and gym will be on your right (as you walk through the door to the parking deck). The easiest way to access the club room itself is to circle around to the left (as you face it) of this facility. You’ll see a stairway on the right (leading to the facility) – walk up it and when you reach the top keep going straight and the club room will be the last door on your right. Apologies for the long-winded directions – after talking with management I’m convinced the route outlined above is the simplest and most straight-forward. If it wasn’t a national holiday parking and directions would be much easier. If anyone needs assistance please don’t hesitate to call me at 770-298-6964. A video of yours truly walking along the route I just described is available here.